As a small to medium size business owner you need car insurance coverage for your commercial vehicles. Often employees and/or owners of a business use the company vehicle as their primary means of transportation. If the car or truck is owned by the business, the principal insured should be the business name versus the individual driving the car. This can help avoid confusion in the event you file a claim or one is filed against you. Though a personal car insurance policy and a commercial or business car insurance policy will cover the same major policy needs (bodily injury, property damage, comprehensive, collision, medical payments and uninsured motorists), there are still differences. At John Beck Insurance we can help you navigate through the differences between personal and commercial auto insurance coverage. Our insurance agents will ask you several questions to get a better understanding of your business needs, how the vehicle will be used, etc…and provide you with options that best fit your budget, wants and needs. Speak to one of our commercial auto insurance agent’s today (904) 721-3129. Nowadays everyone is suing for everything. Unfortunately if you are a business owner, your chances of being sued have exponentially increased over the past decade. Having General Liability insurance can help provide financial protection if you are ever sued for damages or an injury. Property Damage coverage: the physical damage to the property of others. Other coverage includes: Fire, Lightning or Explosion Damage; Reasonable Use of Force; Water Damage Liability Protection; Borrowed Equipment; Non-Owned Vehicles (such as aircraft and watercraft); Liquor Liability; Legal Defense Costs; Medical Payments; Personal Injury; Advertising Injury; and specialized liability protection for specific business type. Your covered loss will depend on the nature of your business as well as the coverage and limits you have elected to carry. In most states Worker’s Compensation Insurance is required if you have employees. It was created to safeguard employees who are injured on the job, to provide them with a fixed monetary award and/or medical expenses. Worker’s Compensation Insurance also removes the need for litigation and creates an easy process for the employee to collect due to their on the job injury. Employer’s benefit because it limits their financial risks, due to limits an employee can recover. Workers Compensation Insurance was designed to assist companies in paying these benefits for their employees. It is not health insurance and was specifically created to injuries that were sustained on the job. Most states require Worker’s Compensation Insurance if you have employees. In Florida you are required to carry it if you employ 4 or more employees. It is always a good idea to carry Worker’s Compensation Insurance especially if your employees are involved on dangerous or hazardous activities as a function of their employment. At John Beck Insurance we specialize in Commercial Insurance for small, medium and large businesses. Regardless of industry we can help you protect your business and employees with coverage at an affordable price. 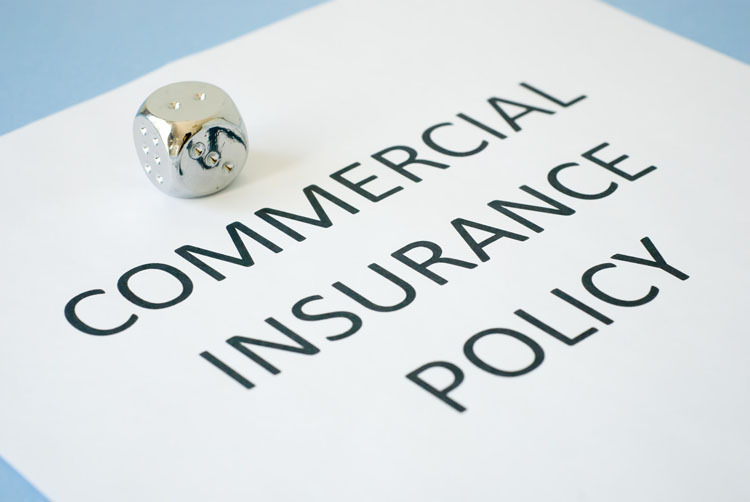 For over 40 years we have been the commercial insurance company businesses have trusted throughout Northeast Florida. If you would like to discuss commercial insurance options for your business contact John Beck Insurance today and speak with one of our business specialists (904) 721-3129.